Meet Invita – a brand that understands individuality. Discover the business’ philosophy and why you should join the team. At Invita we believe that every person is different. 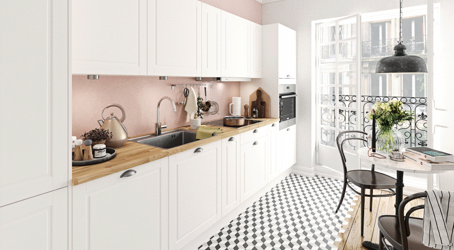 Therefore, our mission is to deliver tailor-made kitchens for every customer. We only start to manufacture the kitchen when we have found the right solution for the customer. In fact, this was our philosophy when we launched Invita back in 1974. Over 40 years later, our approach remains the same. Our vision is to create unique kitchens that bring joy to everyday life. Invita has been part of Nobia Group since 2000. We sell high quality custom rooms that offer innovative solutions, a wide range of styles and materials, and modern, functional designs. And like the rest of the Nobia Group, we’re proud to offer careers that come with room to be inspired.